What Makes the Perfect Music Venue? When you go to watch a concert, you want to have the best time possible. 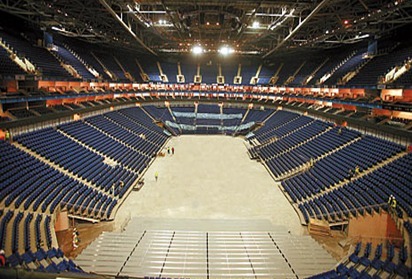 You spend ages getting increasingly excited about your trip to somewhere like the O2 in London to watch your favourite band and you dream about seeing the artists in the flesh, singing and dancing along and maybe even making a weekend of it – there are tons of hotels near the O2 Arena London to stay in. The venue itself plays a big part in making a gig a success. The band could be outstanding – as you would expect having listened to them on the radio or on their CD so many times – but if the venue lets the whole set down it can be ruined. So what constitutes a good venue for live music? One factor is the seating or standing arrangements. More often than not you want to be stood up at a gig so that you can jump around, dance or tap your feet to the music but if the venue is taken up by seating there is often little or no room to do this. On the other side of the coin, you don’t want to be forced to stand up. Quite often you have bowl-shaped venues with those wanting to stand in the centre, and those seated around the sides going upwards like in a football stadium. Arguably the most important factor is great sound. Without it, the band are going to sound terrible no matter how good they are. With the right equipment and positioning of the speakers you can turn a venue into an amazing musical experience for all in attendance, hearing the band equally and making for the perfect gig. However, if it’s too hot or cold in the venue it can completely ruin it. You don’t want to spend the whole time shivering and stood there with your coat on, and equally you don’t want to be going out to find more bottles of water because it’s too hot. It’s vital that the venue has an air conditioning system but that they get the temperature right. It needs to be factored in that more people will mean more heat, (and vice versa), and the temperature should go up or down accordingly. Finally, the lighting needs to be right. If you have a rock band, you want the venue to be a bit darker with the focus on the band itself, while a pop band would want to be well lit with all of the flashing lights and glitter explosions.